This striking coin from the Nikki Lissoni collection will add some texture and colour to your necklace. This vintage design is plated in Rose Gold and features a dangling element adorned in silver crystals. 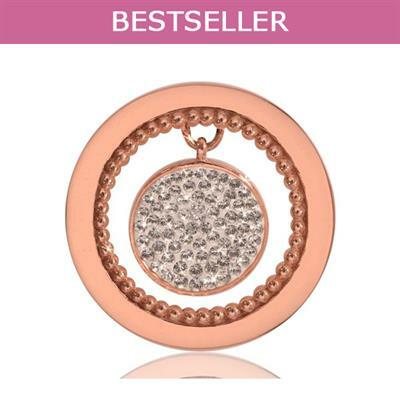 This stunning 33mm coin fits the medium size carrier, mix up your look and alternate between a silver and rose gold carrier for a stunning accessory for any occasion.